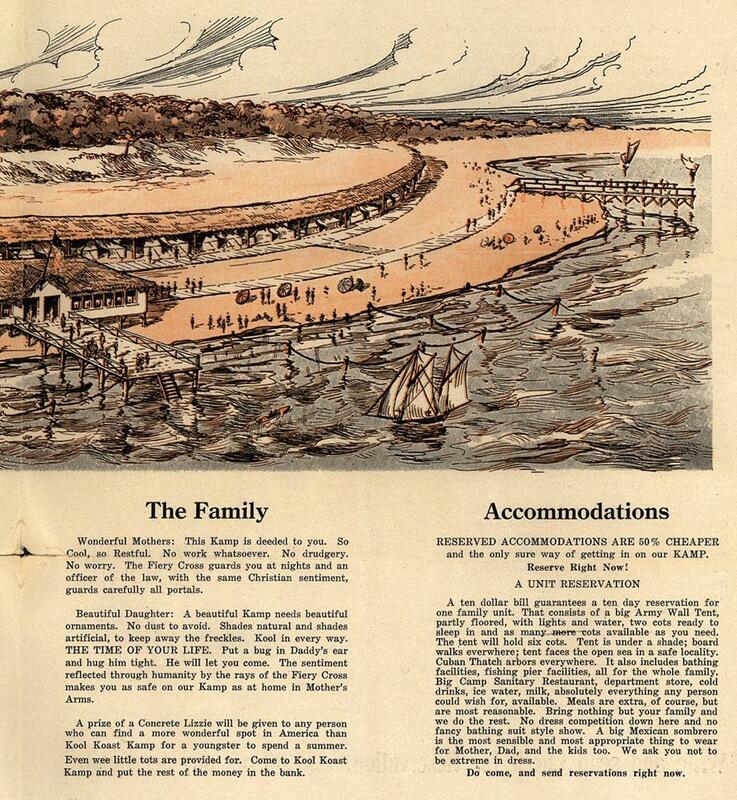 The Ku Klux Klan: A brochure for the organization's summer resort (PHOTO). The Ku Klux Klan calls to mind racism, violence, and vigilantism—a reputation richly deserved—but during the 1920s, the KKK also considered itself a social club dedicated to advancing community. The KKK saw its members as poorer and less advantaged than a corrupt mainstream elite. Alongside punitive, negative actions directed at minorities, the KKK encouraged charity—for the “right” kinds of people. So, for example, individual chapters participated in mutual aid, supporting members who had fallen on hard times and advancing one another’s local businesses. 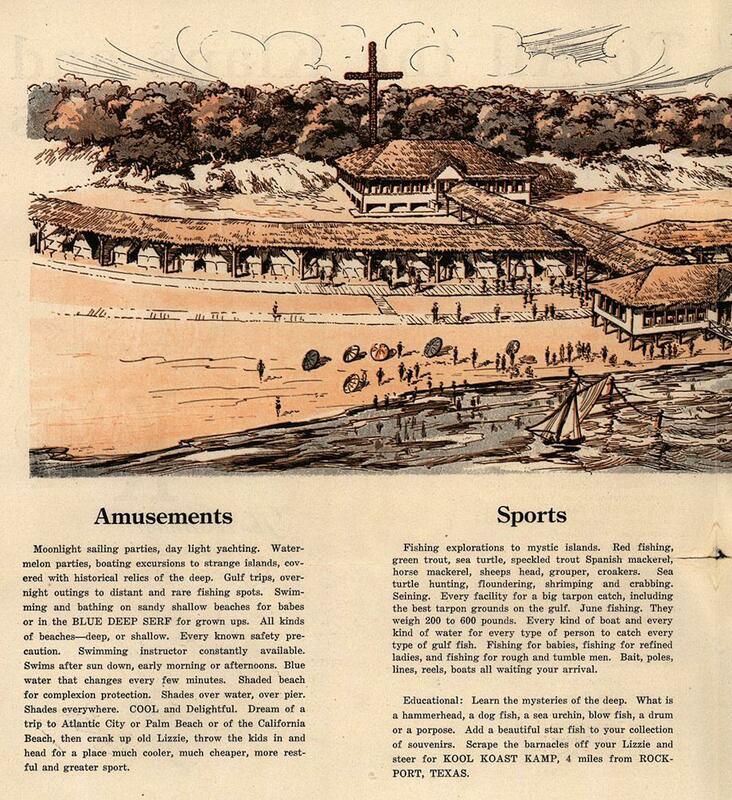 You can read the full four-page brochure in Duke’s Emergence of Advertising in America digital collection. Brochure: “To all the Klans and Klansmen.” C.T. Gilliam and the Kool Koast Kamp. Illustrated by Al Pearson. ca. 1924. Duke’s “Emergence of Advertising in America” online collection.